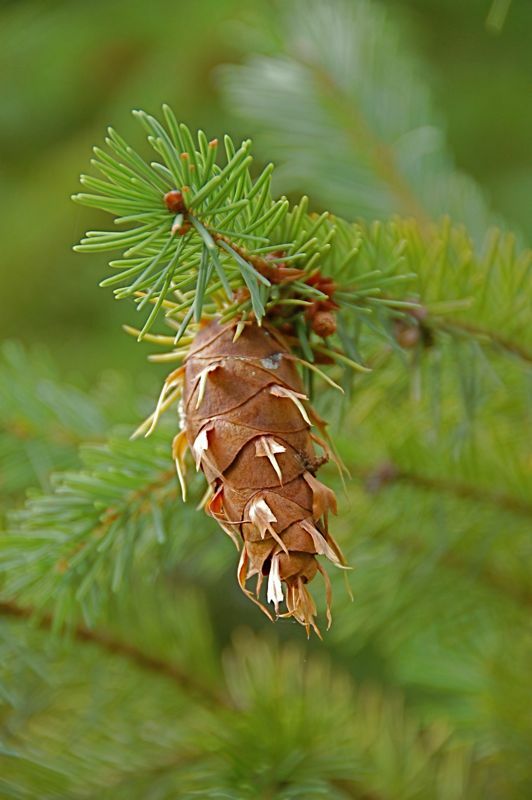 This Norway Spruce on our property is dropping seeds from its cone. During autumn, I often walk the gardens and collect seeds for next year. I've never attempted to germinate any tree seeds. Perhaps I should give it a try. Eeek looks like a gross, gigantic bug.